From Quebec, Canada, Talisma are the trio of Donald Fleurent on a variety of guitars and basses plus keyboards, Martin Vanier on a similar array of guitars and guitar synthesizer, and Mark Di Claudio on drums. Chromium is the follow up to their 2003 debut, Corpus. Talisma are difficult to describe, which should immediately alert you that this is an exciting band. The music is full of high energy intensity and instrumental sophistication. Some of the guitar patterns recall Discipline era King Crimson, but that by no means defines the Talisma sound. The band combine screaming guitar synths, Chapman Stick sounding bass, oddball time signatures and so much more to create a brand of progressive rock that is electrifying and quite different, and zeros in with precision on that difficult balance between challenging yet accessible. Fleurent and Vanier are talented and versatile guitarists, and along with Di Claudio's powerhouse drumming Talisma are a creative and hard rocking progressive force. There's LOTS happening here instrumentally and I'd be stunned if these guys were able to pull this off live with only the three of them. It's so difficult anymore to play music, however incredible, that has some semblance of individuality, yet Talisma do manage to stand, somewhat, outside the box. My head was spinning by the time the album ended. The music speeds along at lightning pace, but isn't some mere flash and chops fest. The Talisma trio excel at keeping things at all times thought provoking, interesting and exhilarating. Check this out for a mind boggling prog rock roller coaster ride. 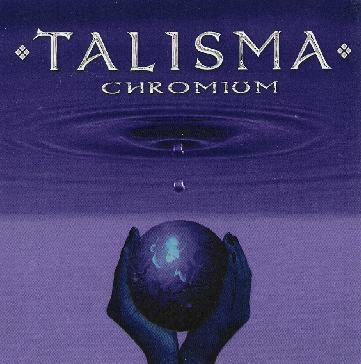 For more information you can visit the Talisma web site at: http://www.talismaband.com.